I know lots of people who simply love to cook at home, and just as many who loathe it. My wife falls into the latter category, and when she's done cooking one of her rare at-home meals, our kitchen looks like a tsunami hit it. So, I do most of the cooking. Part of the reason I get joy from cooking at home is that, over the years, I've discovered many indispensable tricks, tips and shortcuts that make preparing meals in my own kitchen a breeze. I hope this handful will be useful and maybe even get you to love your kitchen a bit more. Many meat and poultry recipes—from Asian stir-fries to stroganoff and fajitas—call for thin-sliced meat. But slicing meat super thin can be tricky, even with the sharpest chef's knife, since meat tends to be squishy. The remedy? Place the thawed meat you're planning to use in the freezer for 15 minutes to a half-hour to firm it up a little. It'll be much easier to slice thinly or to grind in a meat grinder if it's partially frozen. 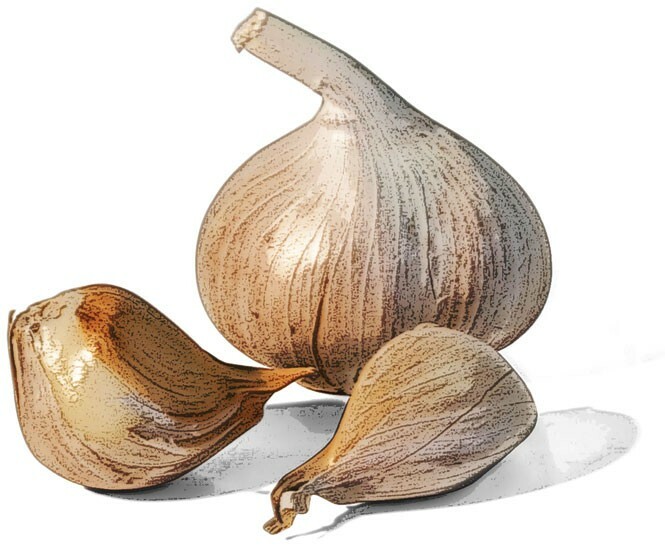 If, as I do, you use a lot of garlic in your cooking, you know what a pain it is to peel garlic cloves. The skin sticks to your fingers, and it's ridiculously time-consuming and messy. Well, garlic lovers, I'm about to change your life. You can peel an entire head or more of garlic in literally seconds with this simple technique. First, take the head of garlic and mash it with your hand on a counter or cutting board to separate the cloves. Next, put the separated, unpeeled garlic cloves into a large bowl such as a metal mixing bowl. Use a second bowl, placed upside-down on the first, as a lid. Now, just shake the bejesus out of the garlic for 10 to 15 seconds. Peer inside the bowl, and voila! The garlic will have separated from its skins. Just pick out the peeled garlic cloves and thank your lucky stars that you'll never have to hand-peel a head of garlic again. If there is anything I've learned from hanging out with professional chefs and cooks over the years, it's the importance of organization in the kitchen. When you've got hungry restaurant customers waiting for their meals, you simply can't afford to work in a discombobulated kitchen. The pros call it mise en place, which is French for "everything in place." It's one of the most important and elemental concepts in cooking: to have tools, food ingredients, seasonings, sauces, serving plates, etc., lined up and orderly before turning on the stove. If you've ever been cooking a meal and halfway through you realize the recipe calls for a quarter cup of minced garlic—which you haven't even begun to peel yet—you'll know how critical mise en place is in the kitchen. One of the most useful kitchen tools I own is a microplane grater. Once used predominantly by woodworkers, someone got the bright idea to zest citrus using a microplane, and it was off to the races! I put my microplane to use grating hard cheeses like Parmesan, as well as to grate ginger and garlic, lemon and lime peels, nutmeg, shallots, chocolate, frozen butter and a dozen other food items. I don't know if I've ever once successfully broken open eggs without getting some eggshell pieces into the mix. Usually, I just fish around in the slippery egg goo trying to pick up the shell pieces with my fingers. That is, until I learned to use my egg. The best tool I've found for extracting bits of eggshell is the shell itself. Just use an empty eggshell half to scoop out the little shell bits; it's easier and much less messy than using your fingers. Kitchen counters are hard, and cutting boards are rarely perfectly flat. Even if they are, they tend to slip and slide around on the kitchen counter while you're operating a sharp knife—not a good combination. I don't know why it took me so long to discover this easy fix, but now when I'm using a cutting board, I place a kitchen towel or damp paper towel underneath the board, and it stays in place like it's glued there.